Pretty Plates – Dresden that is! 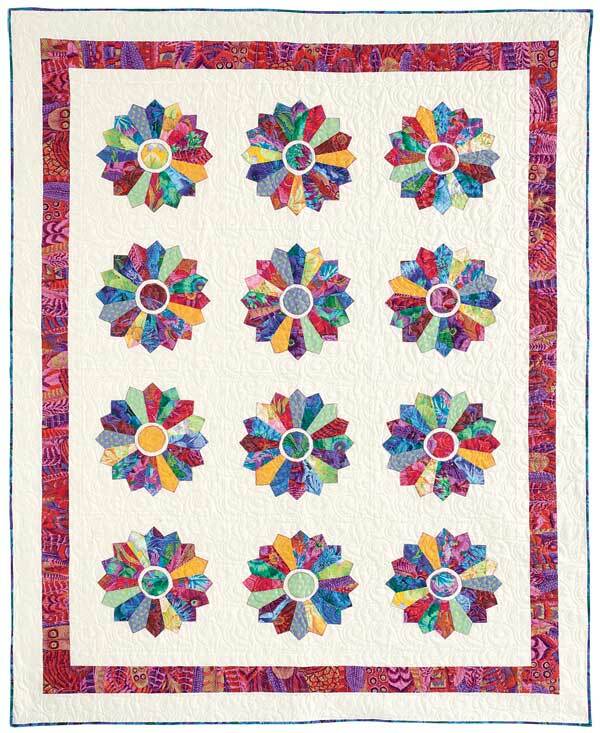 Dresden Plates are a lot of fun to make – they are a great way to use up scraps. 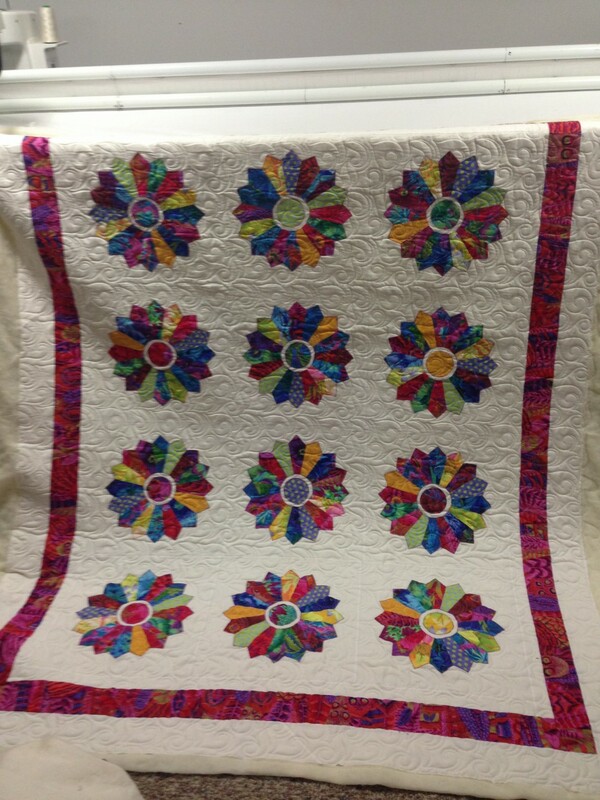 Here is a quilt that I made using a lot of different Kaffe Fasset Collective Fabrics. 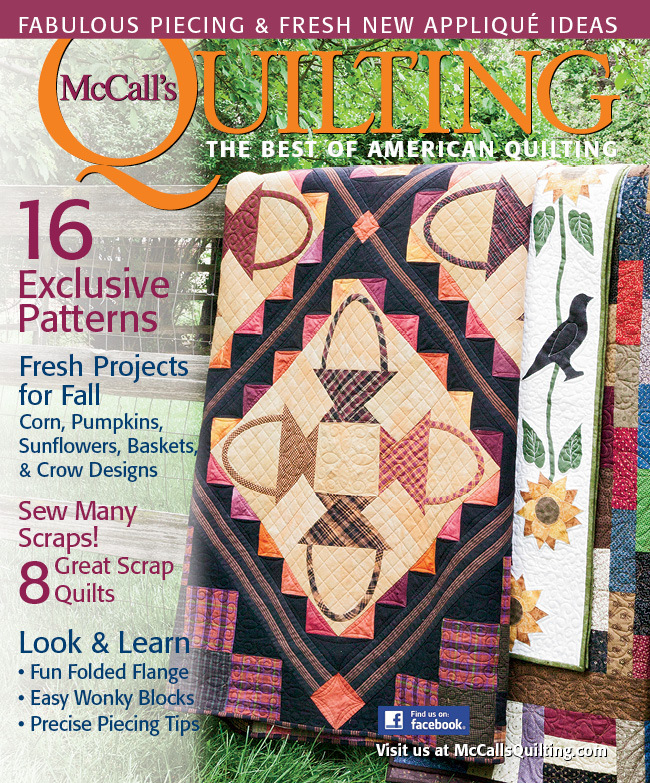 It is featured in the September/October 2014 issue of McCall’s Quilting. 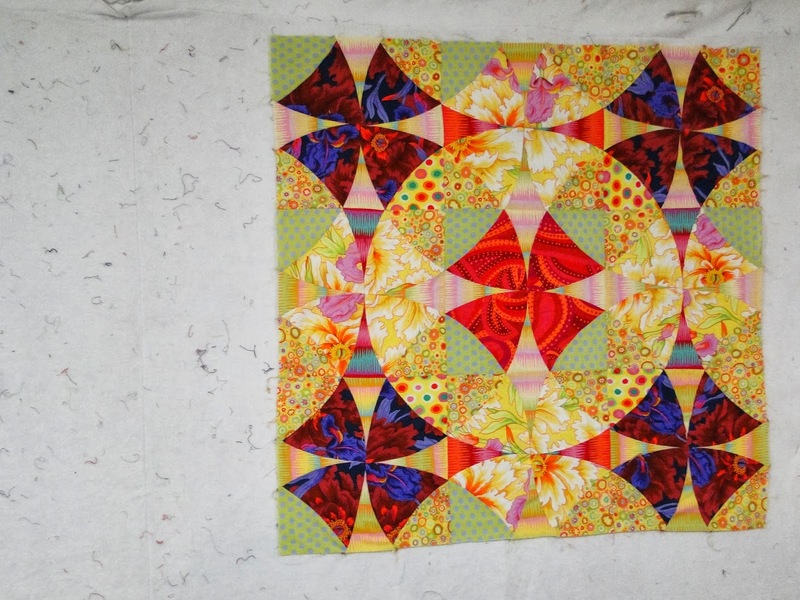 I used the Marti Michell Dresden Plate templates to make the quilt. I hope you enjoy it and might make one for yourself. I’m back! Sorry to have disappeared but vacations crept in and …. well you know. 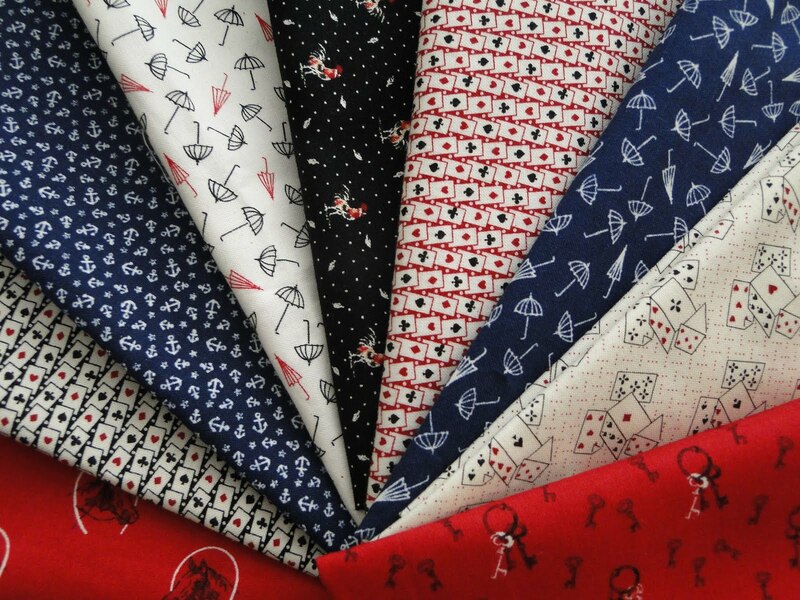 Here is some fun shirting fabric from Windham Fabrics. It is from their new line Ascot which is shipping to stores NOW. 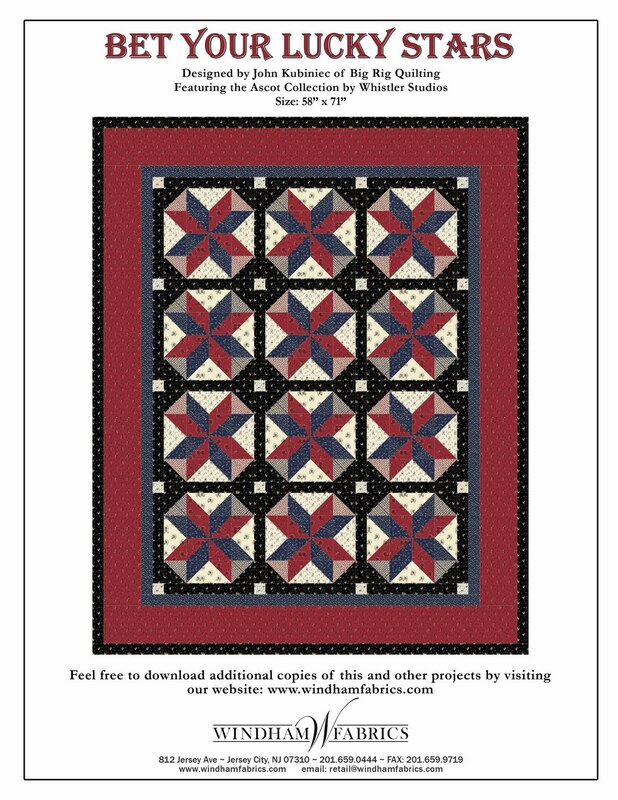 Here is the front page of the pattern which is called Bet Your Lucky Stars. 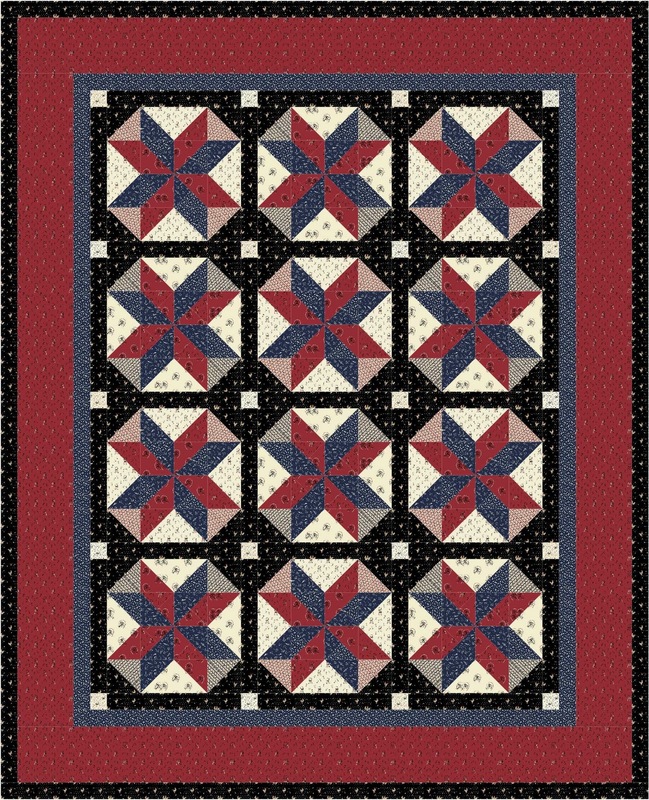 I am working on more pattern designs and would love to know what kind of patterns you are looking for. 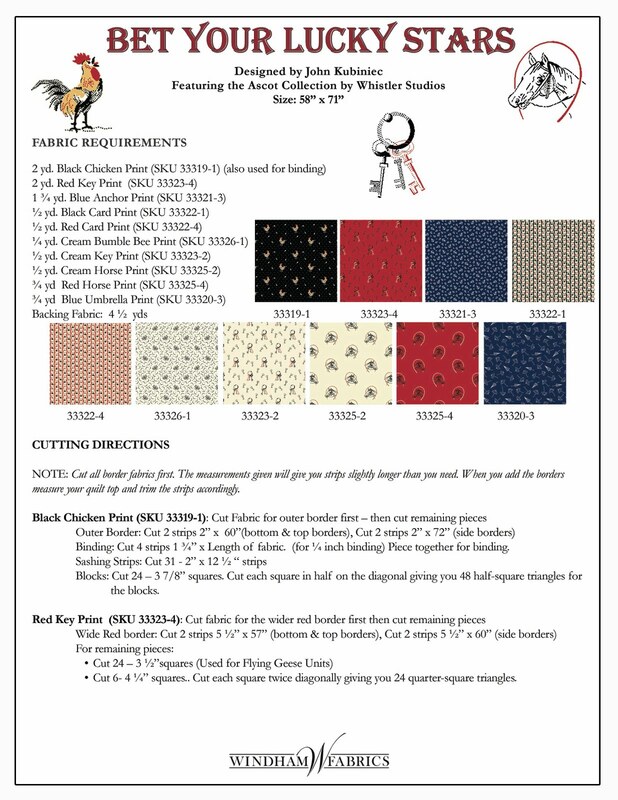 And here is a page showing the fabrics used in the quilt. 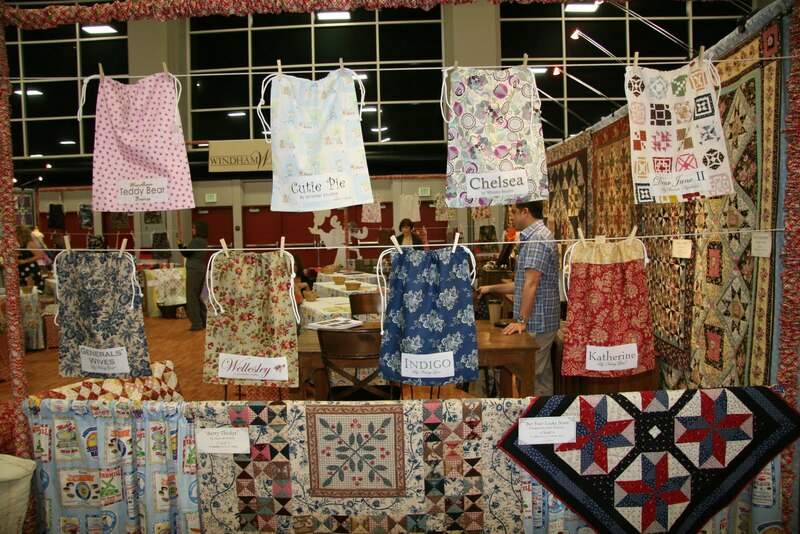 If your local quilt shop doesn’t carry the line – get them to get it in. 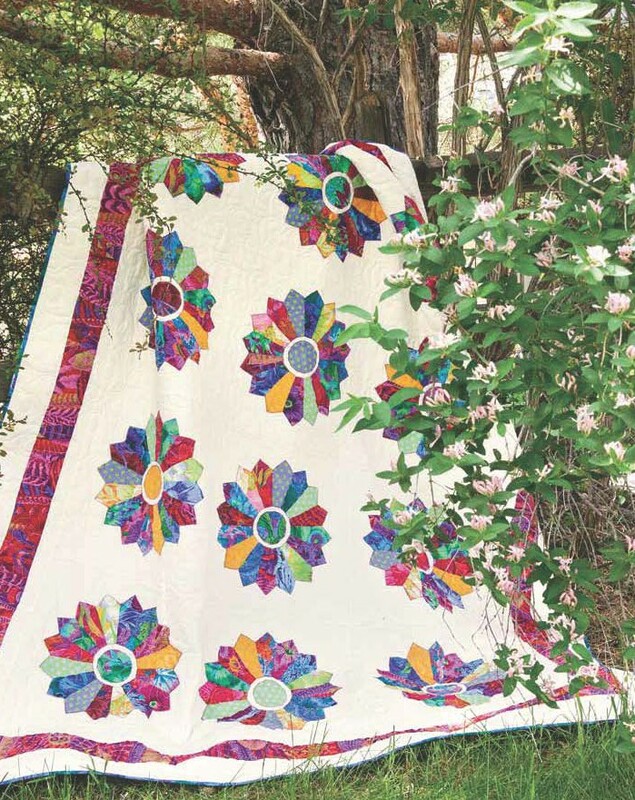 If they aren’t going to carry it – head on over to The Patchwork Co. – they should have it in stock soon and you can order it from them online. 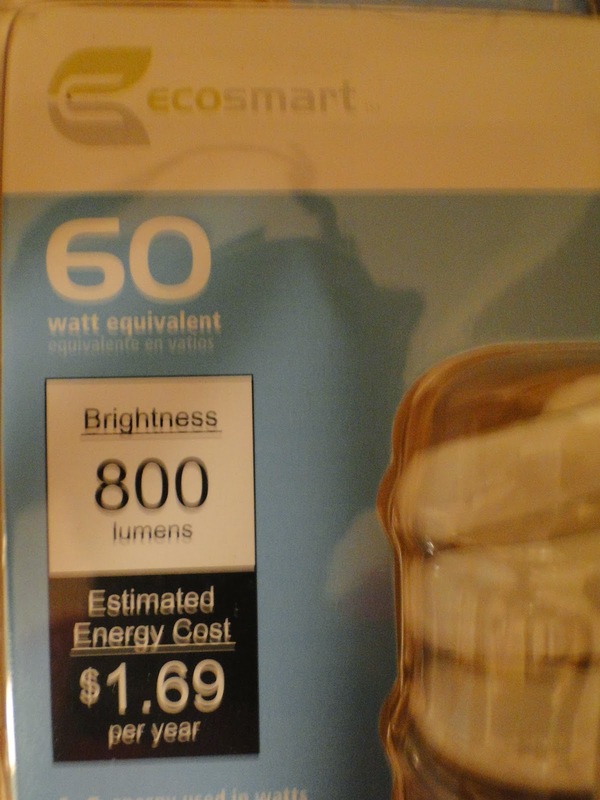 If they don’t have it up on their site yet – just send an email or give them a call and ask if it is in stock. 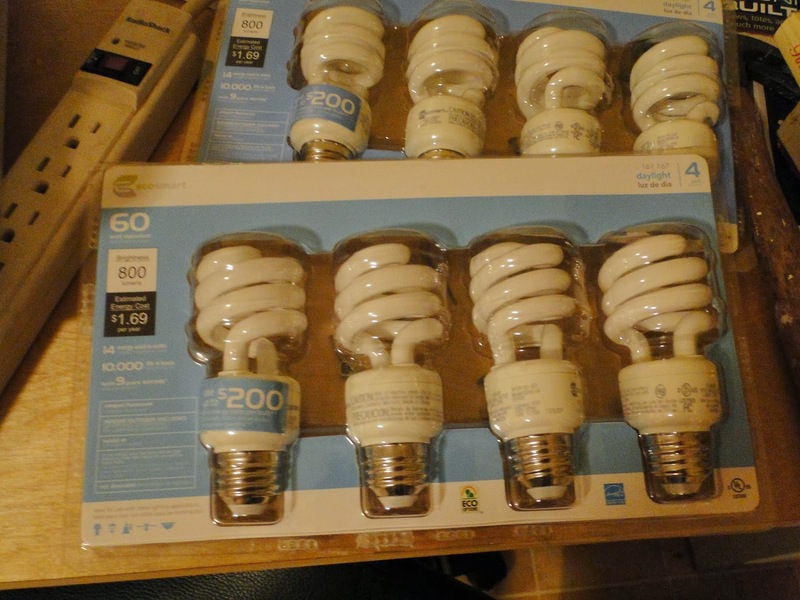 The staff there is very helpful and friendly. 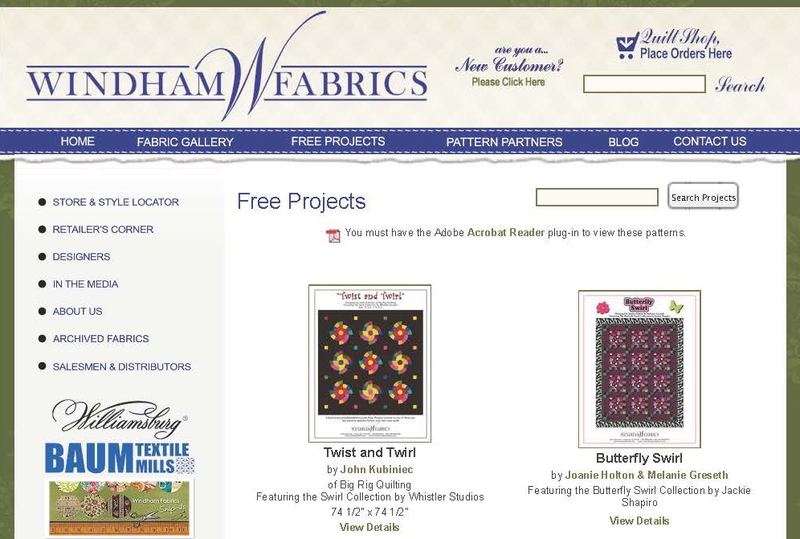 Head over to the Windham Fabrics Website to see the fabric up-close and to download this FREE pattern, and browse a lot of other free patterns they have. 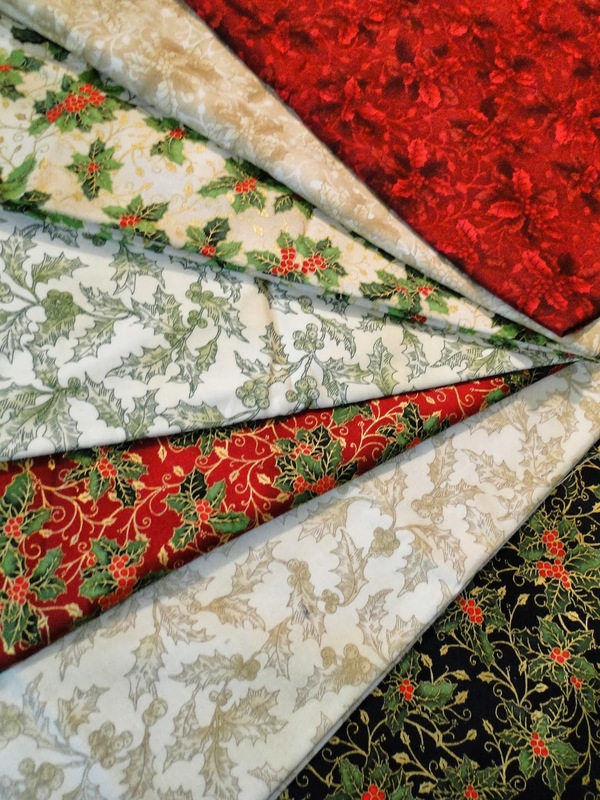 Also, have a look at some of the other great fabrics – their well-know reproductions to their great contemporary fabrics – which will be hitting stores soon. 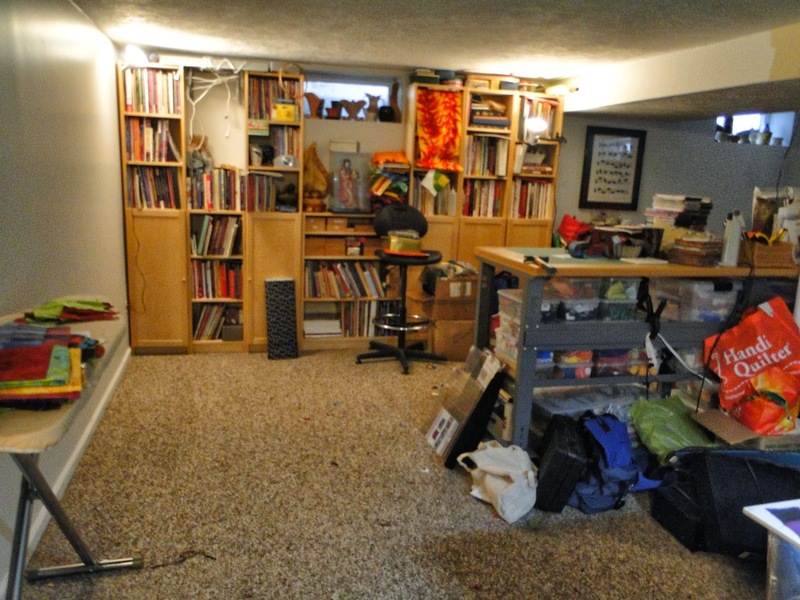 Hi everyone – sorry to have fallen off the blog map for a little while. 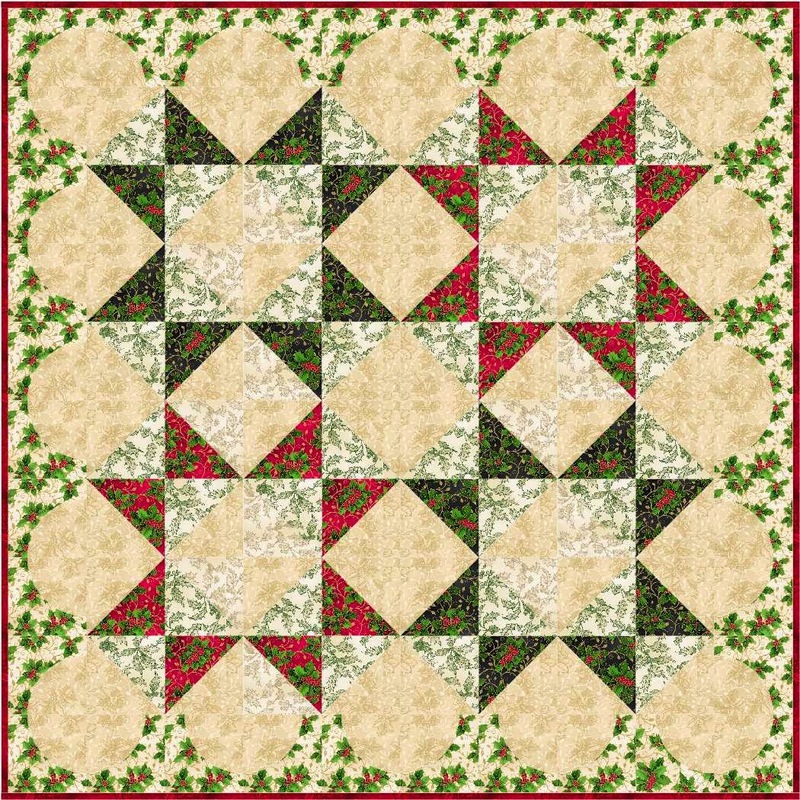 I have been taking some time to recover and regroup after the McCall’s Design Star Contest. 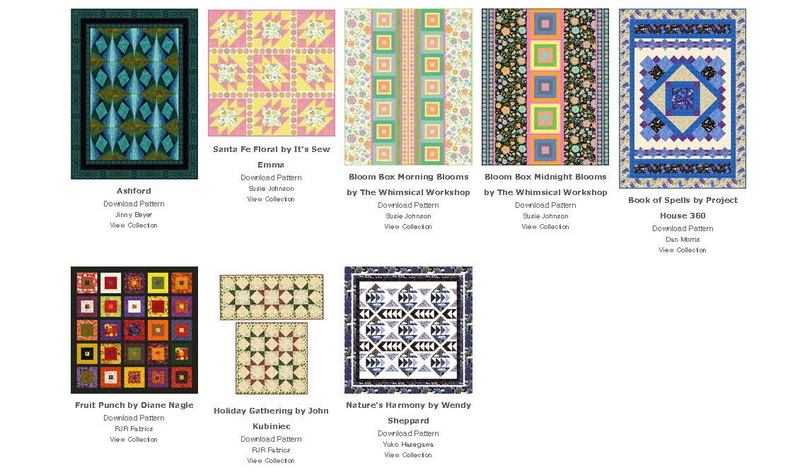 And something that has been keeping me busy is that I have designed some patterns for Windham Fabrics. 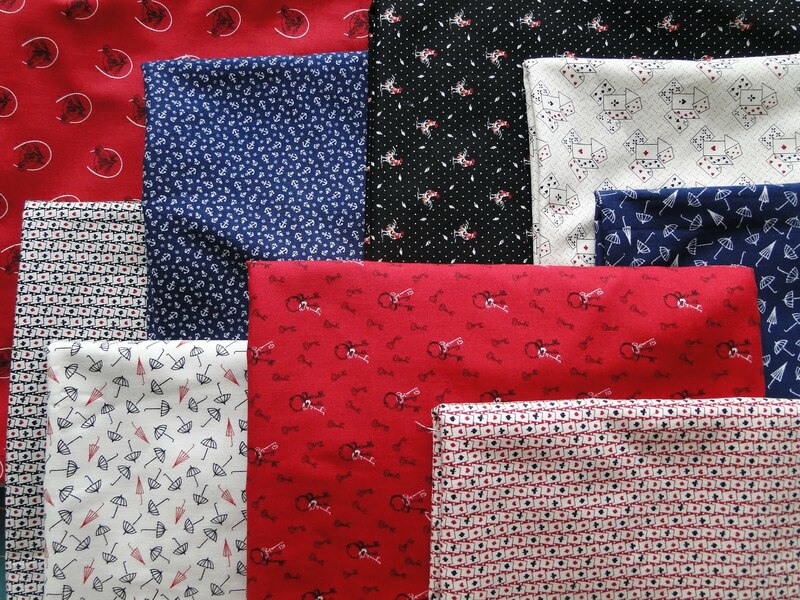 Here is the first one – The fabrics are from their new line Ascot. 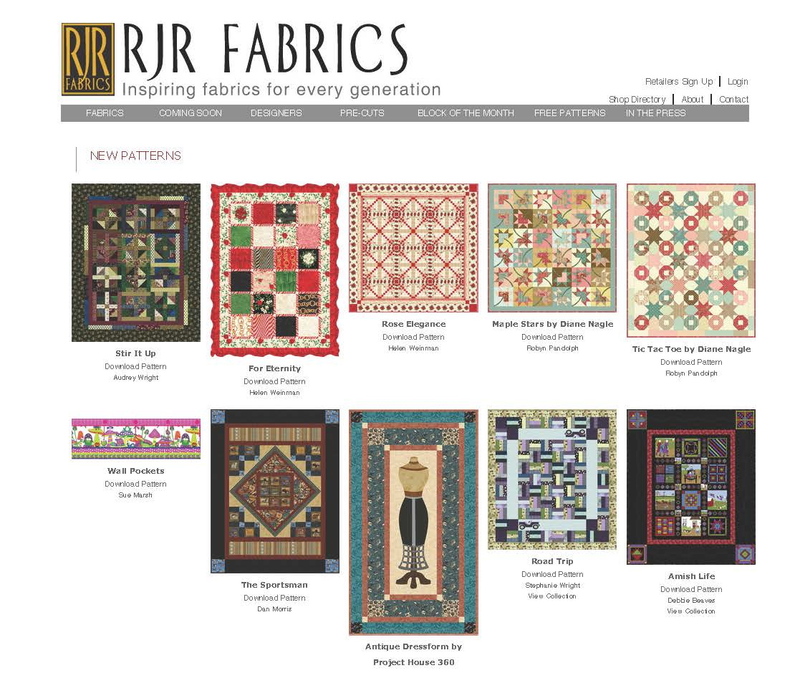 It”s a fun line head over to their web site to see all the cool patterns that are part of this line. 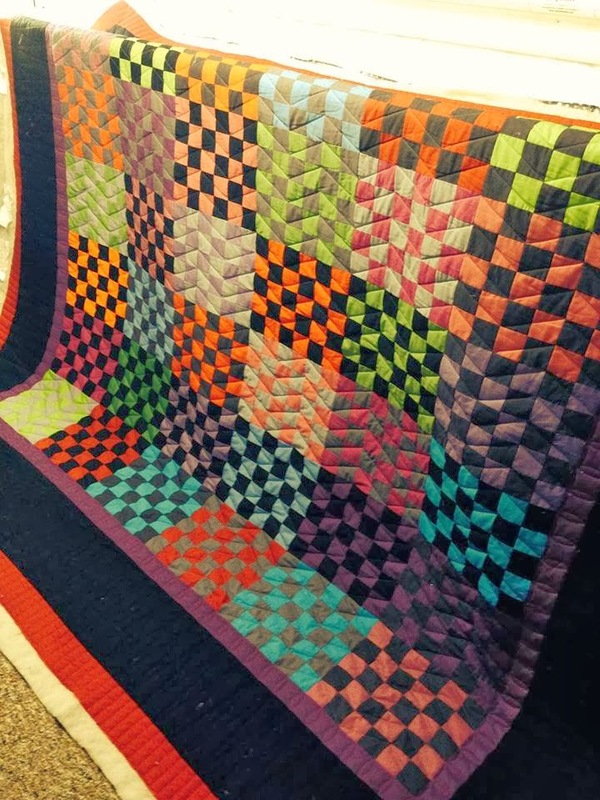 I am still working on a name – but here is the quilt designed in EQ7. 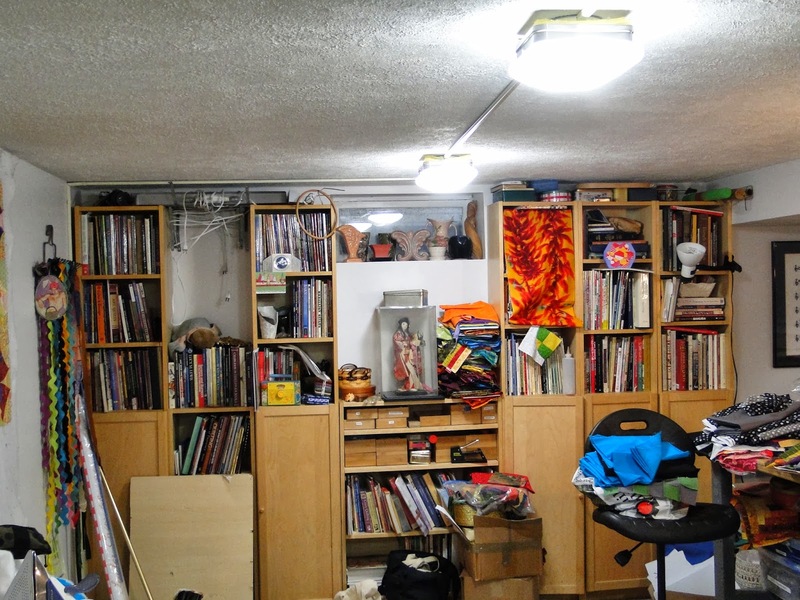 Head on over to Judy’s Blog and see what everyone else is up to.